With visitors arriving... getting the house into tip top condition (or as close as in this housework optional house) has been a top priority. Unfortunately, the sewing shed has been converted into guest accommodation - so sewing has now been put on hold for a week or so. 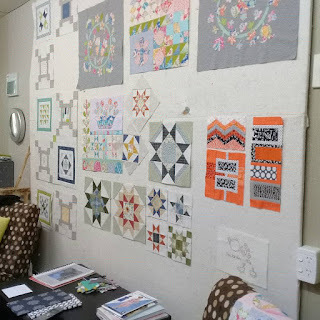 The Patchwork City sew along has been cruising along. 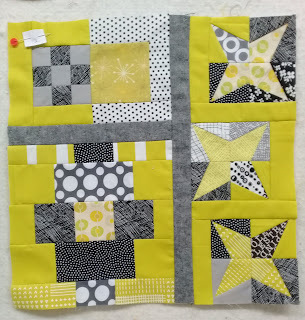 I wasn't sure how the "one block a week" goal would pan out - after all, each block is really three mini blocks - and Elizabeth Hartman's blocks are sometimes quite complex with lots of pieces so mini really describes the size - not the time and effort involved. But, so far... so good. 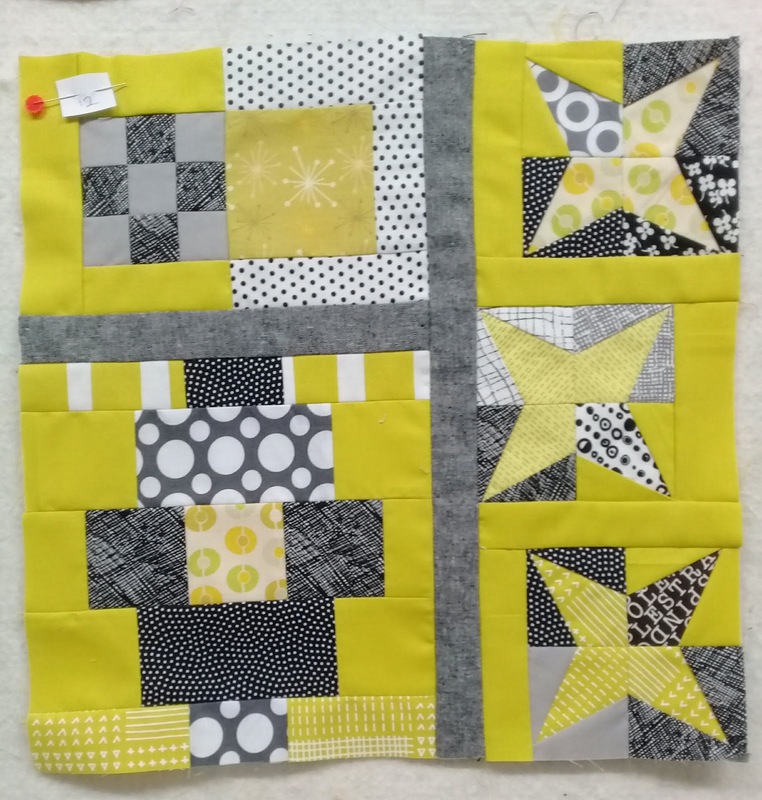 Block Two was a citrine sort of yellow... and it wasn't until I laid it out with the orange block that I realised it mysteriously a different size. 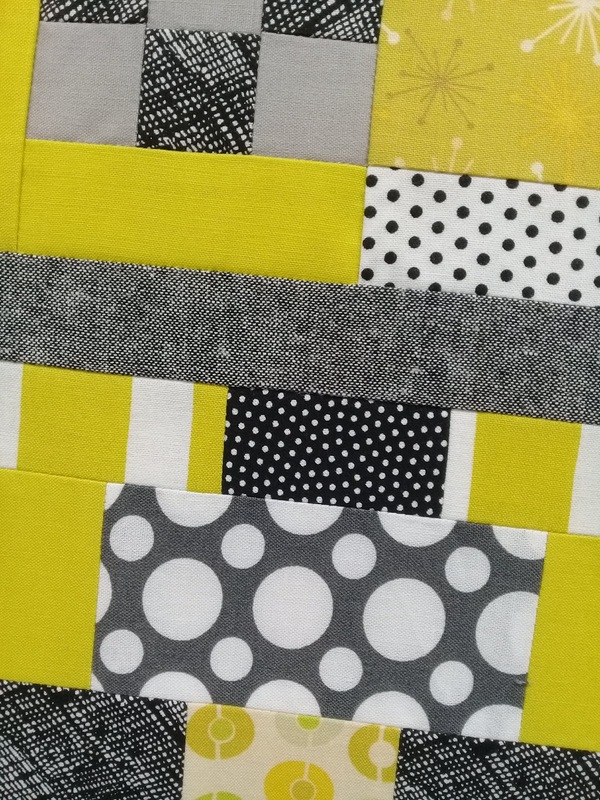 It took me a while to realise it didn't have the central sashing strip! Duh! After I had problems matching up the seams and had to resew some to get it perfect... then I had to unpick it anyway! This striped Lotta Jansdotter fabric is the exact same yellow. Funny when that happens. It obviously looks much better with that extra separation. I decided to use foundation paper piecing to make the small star blocks. 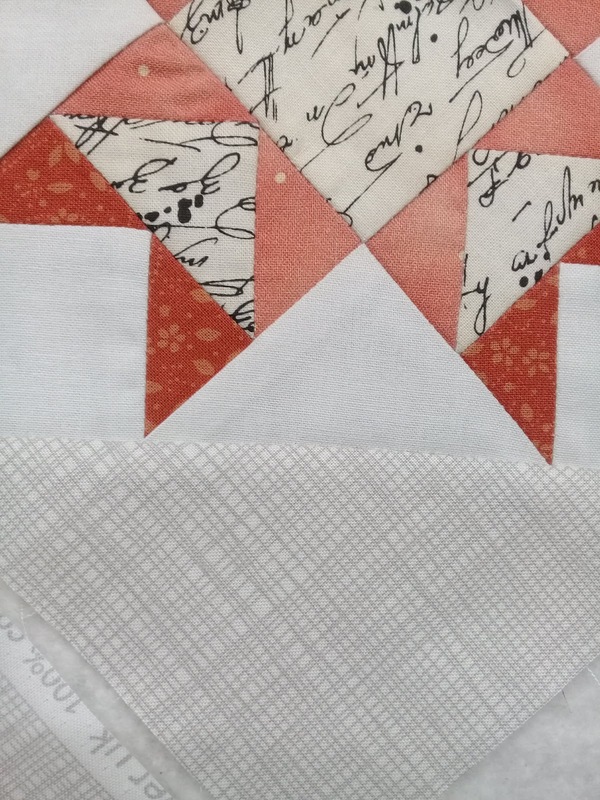 The book refers to using templates to cut the pieces, but from previous experience I knew this was not going to work for me. 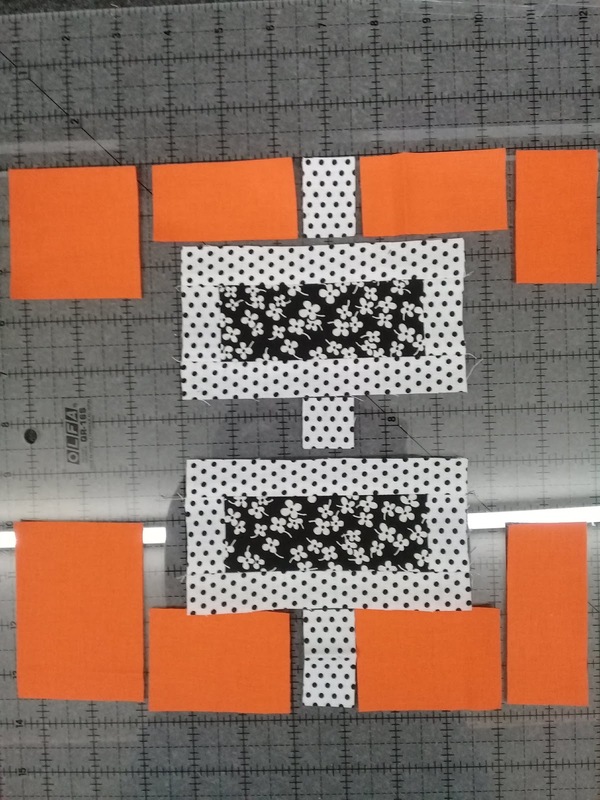 Usually I just photocopy the pattern onto regular photocopy paper, but since it was just a small piece and I had it handy - I decided to use lunch paper to trace the templates. OMG - it makes everything so easy being able to see through the paper! And the lunch paper tears out so much easier. 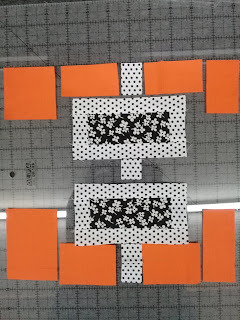 I suppose it depends how many you need - as tracing around the pattern could get old quick - but this was a great resource for a small project. Week 3 is this sort of peacock colour... 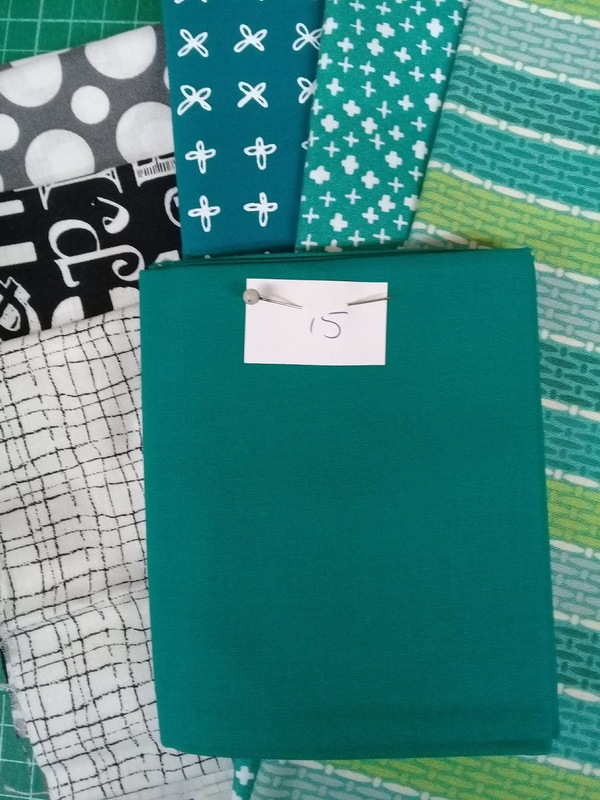 I was super surprised to discover that I DON'T have a huge stash of this colour. 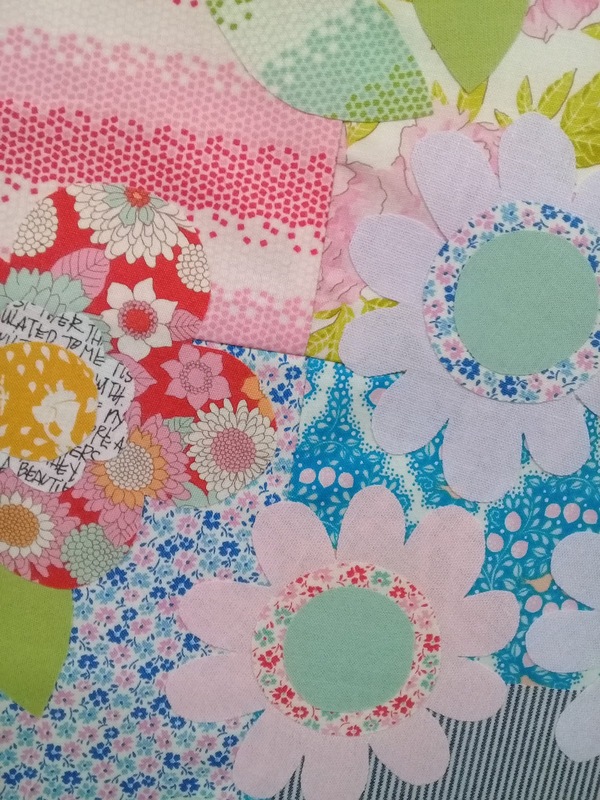 I am currently waiting on a US fabric package with a mix of different pastel tones to blend with some of the other colours in my solids fat quarter bundle. Pastels are not my go to colour... and it is taking forever for the package to arrive. Anybody else having issues with NZ customs?? 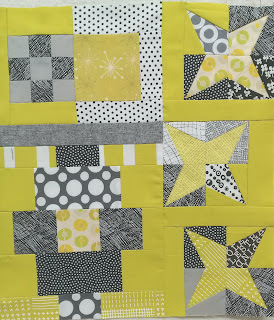 And I've got one section of the block finished, with the second section cut out. 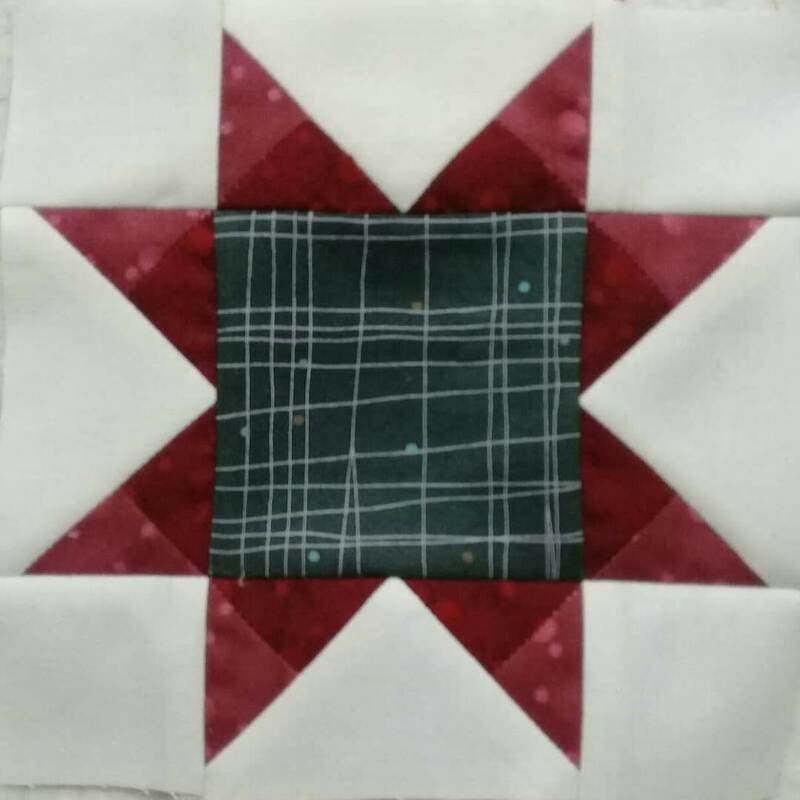 This 12" star is so SHARP! And the 6" blocks are just too CUTE. 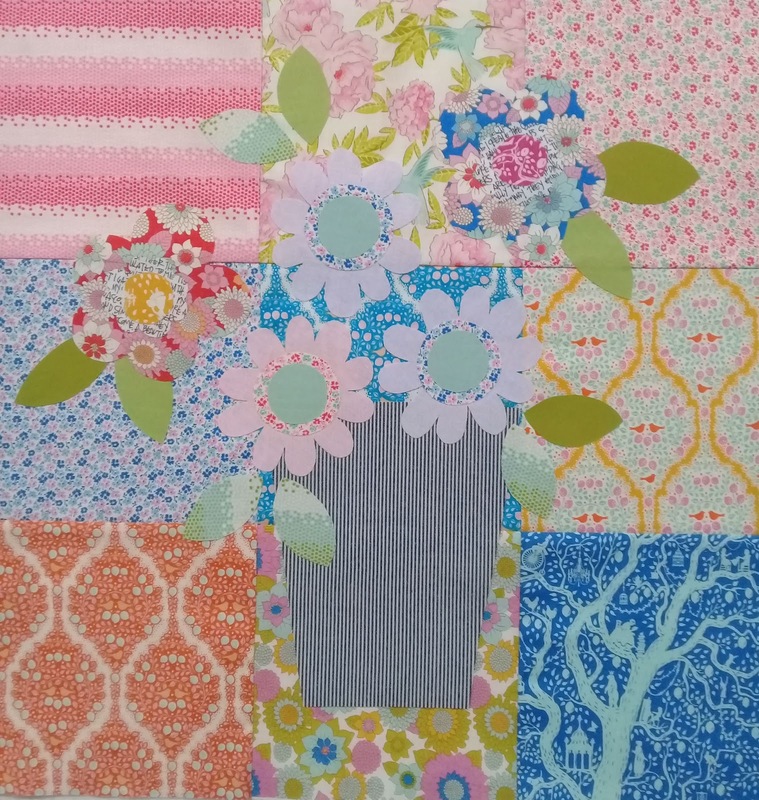 I tried experimenting with using the same colour but light and dark tones with this one. 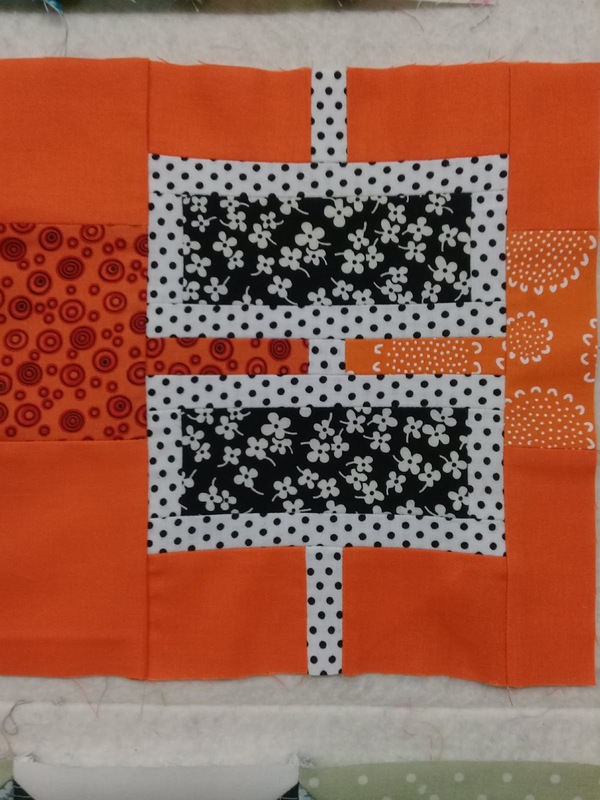 Not sure if I was entirely successful but it is small enough that it doesn't really matter. 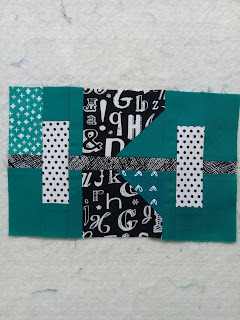 Although my to do list for this month was relatively tame - I have left the RSC double nine patch block until last... even though it only took about half an hour to find and cut a multitude of dark blue squares, plus the white and black squares I needed. 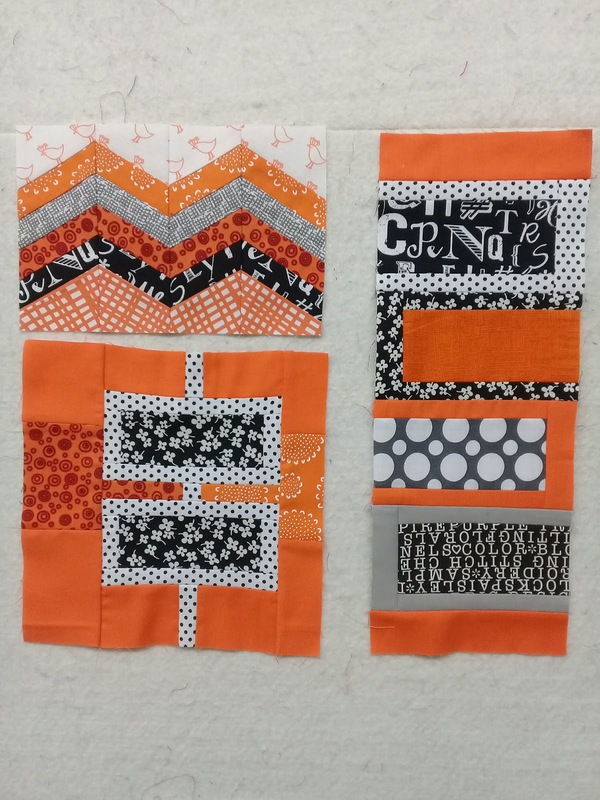 Oh well, this will give me a leader/ender project as I put together some of the other projects. I really should make this my focus for the BEGINNING of the month, instead of the END! 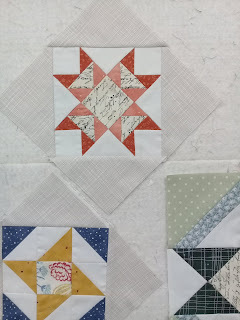 Today I spent some time looking at the Month Five Homespun Tilda BOM - the central block of the nine patch. Looking at the instructions briefly, it seemed to be mostly embroidery. Gasp! That could not be good. I made up the pieced background per the instructions, and started laying out some applique elements based on the embroidered designs instead. 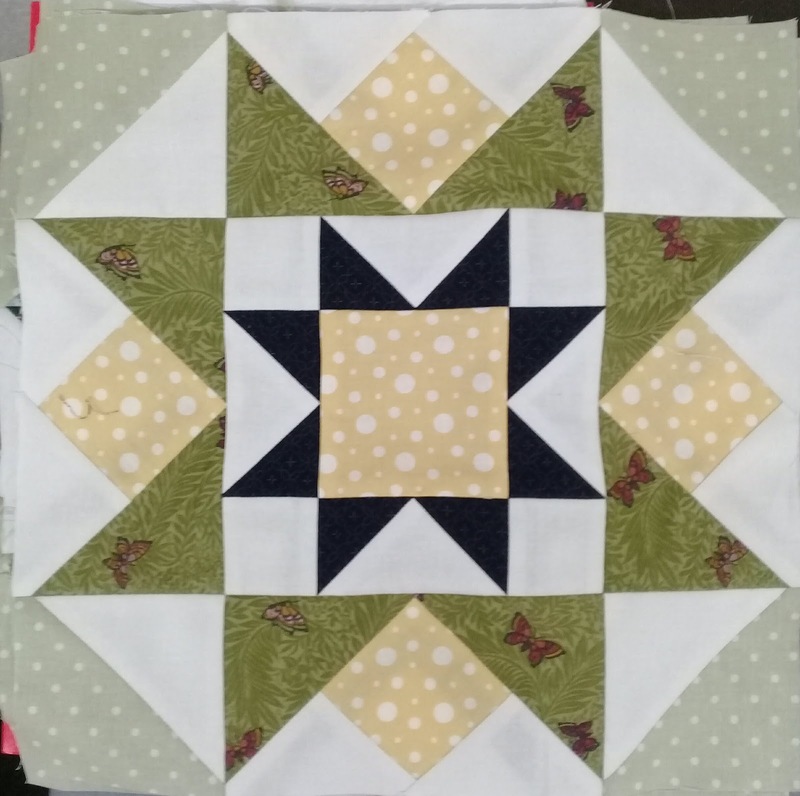 Keeping it fairy simple, and after a few tweaks, and shifts around - I have ended up with a design I really like that shows off the fabrics as much as possible (after all, that background is pretty full on) and it is all fused down. 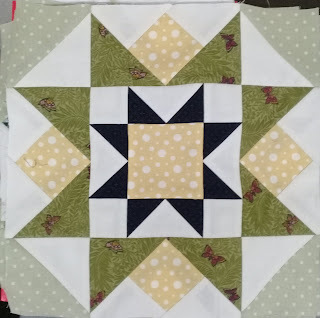 I still have the blanket stitch to do, but overall I think it looks very happy in the centre of the design. 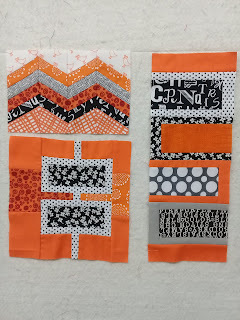 Six blocks of nine done! Over half way! 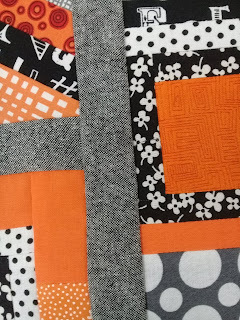 Also on the agenda this week is a hmm... new project... if I say that really quickly will anyone really notice? 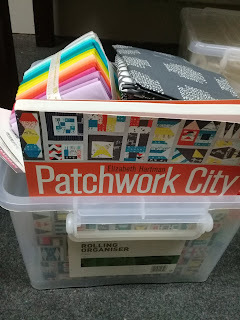 An insta-friend is running a sew along of the Patchwork City book by Elizabeth Hartman, and I decided to follow along. 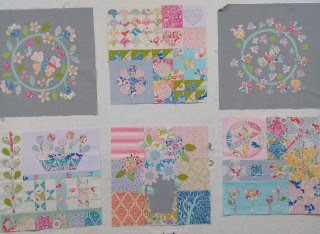 With a few different options for final layouts in the book - I decided I really like the first layout which is a rainbow grid - and finding that I had a bundle of 25 solid fat quarters in a somewhat rainbow meant that half the hard work had already been done. I numbered each of the fat quarters so that I could reference the progression of colour with the quilt layout - and found that pulling matching fabrics out of my stash was embarrassingly easy. 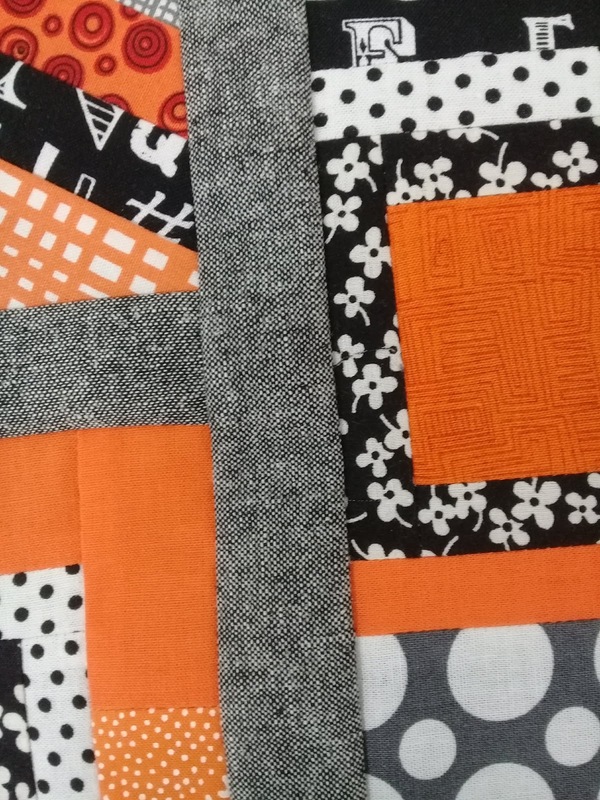 Having sewn a few Elizabeth Hartman quilts before I knew that there would be a lot of pieces - and that some of them would probably be quite tiny (this square in the middle is 1" x 1" cut). 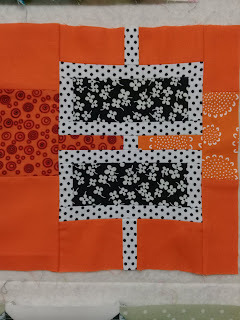 Laying the bits out on my big square ruler makes it easy to cart them off to my sewing machine to sew. 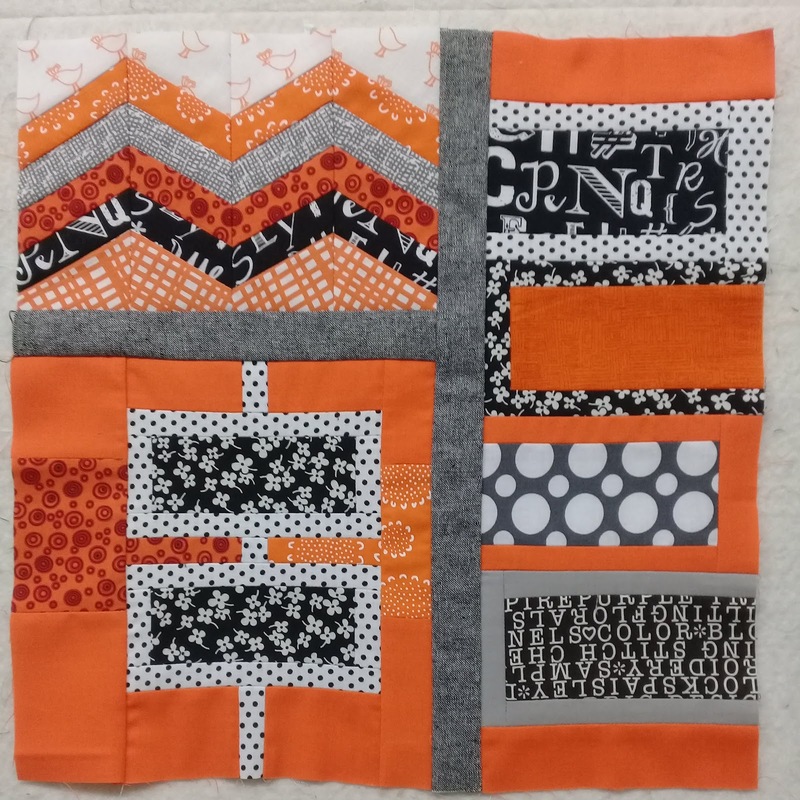 And so the first block was sewn. I managed to get really weird stretching with this one... even though all the pieces went together really easily and accurately. 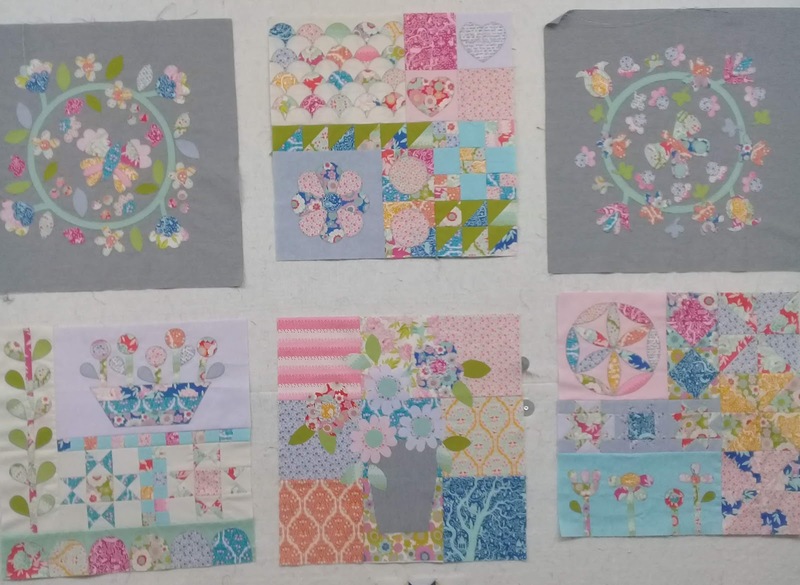 Another couple of afternoons sewing and I had completed the full set of 3 multisized blocks that makes up the first week. And completed with the Robert Kaufman Essex Linen "Black" sashing. 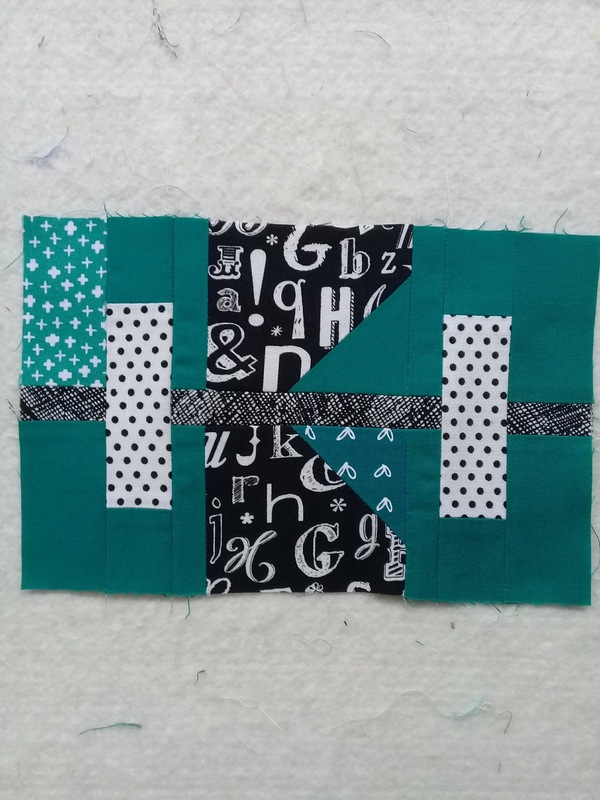 Luckily the sashing has helped to pull those distorted seams - and this black linen has such a great texture and provides ample contrast. 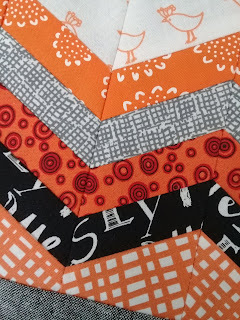 As these blocks require quite small quantities of fabric - I managed to mix in some of my scraps too. Always a bonus! 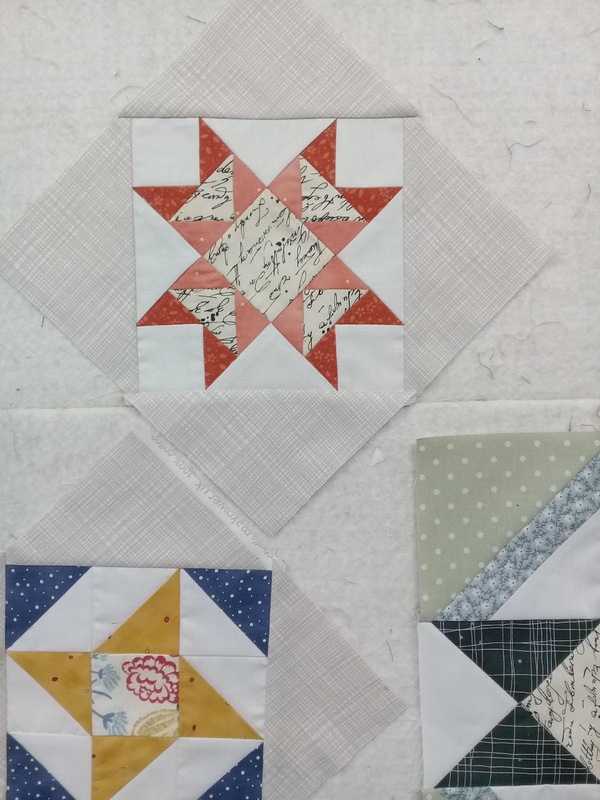 And I have continued to play with the Timeless Traditions BOM blocks, starting the addition of the setting triangles around the 6" blocks. 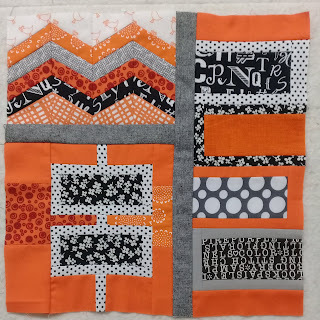 And isn't this little coral block just the cutest? 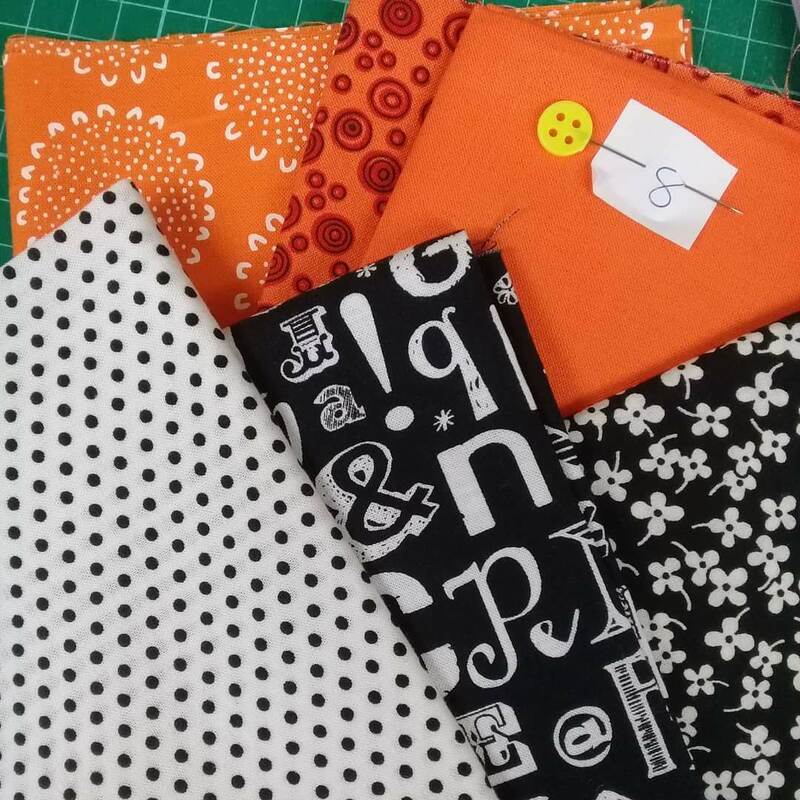 I'm using one of the lighter neutral sketch fabrics - which is actually perfect! 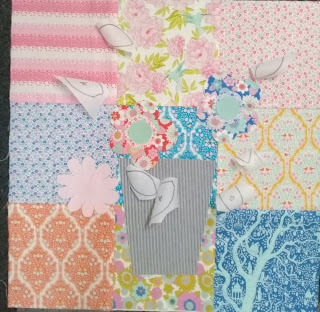 I wanted something that was similar to the Feather background - but provided a bit of contrast... and set off the colours in the blocks... couldn't be more perfect.